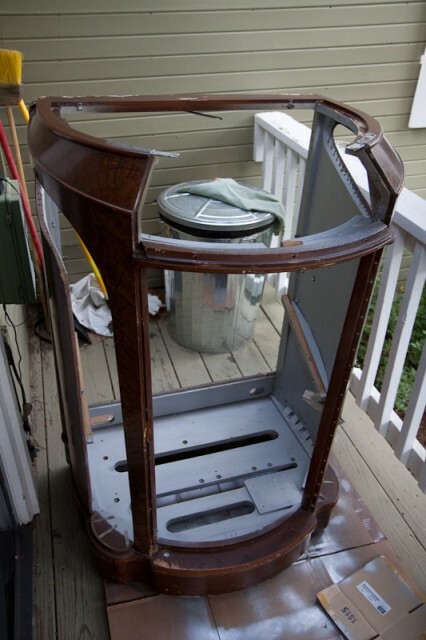 The jukebox cabinet, down to the bare skeleton. The restoration plan of attack is to start at the skeleton of the jukebox and restore various sections and parts and gradually put it all back together. Everything in this jukebox is covered in a yellow grime. Fortunately strong detergents will remove it. It occurred to me that this is residue from cigarette smoke. This jukebox spent all of its working life during an era when cigarettes were very popular in society and smoking in restaurants and bars was encouraged. We’ve all seen images from old movies of pin-up girls selling cigarettes from a tray around their necks. I’ve finished the top lid of the jukebox. You might notice it’s different from the photo in the orginal post. At some point in the past, the original red dome was swapped out with a white scalloped dome. 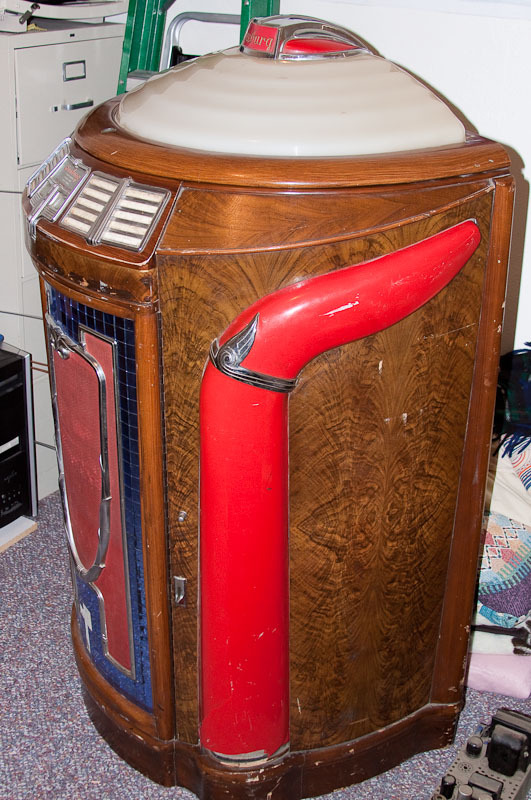 The white dome was used on the later versions of this jukebox (circa 1947-1948). 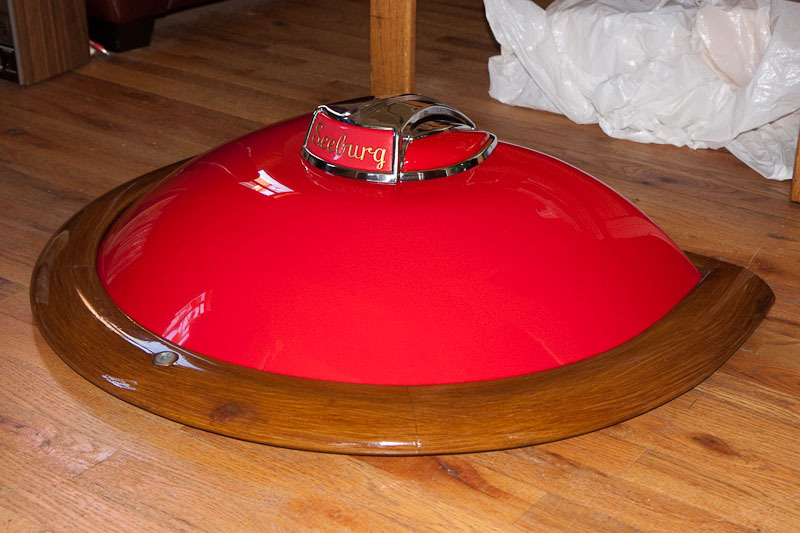 I was able to get a new red dome from a company that makes reproduction parts for old jukeboxes. So now it’s back to its original configuration. Victory Glass might still have plastics for this jukebox. You might also ask them about veneers.